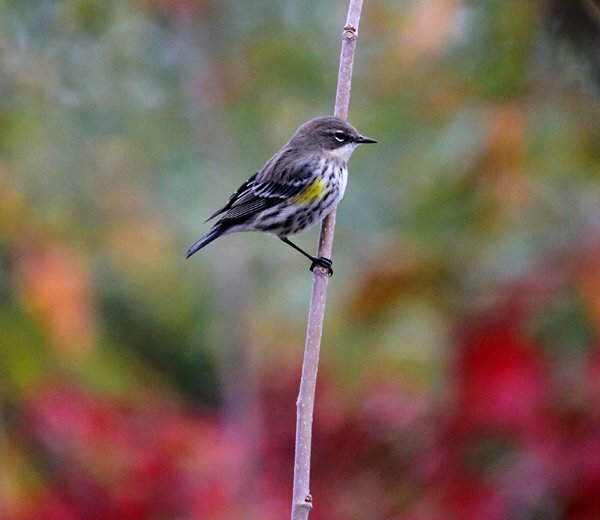 As passerine migration peters out and thoughts turn to what birds will show up to stay the winter the only wood-warbler left in any numbers at all in the vicinity of my New York City home is the Yellow-rumped “Myrtle” Warbler. 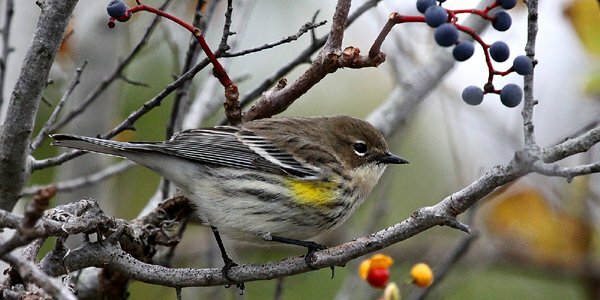 They can be found in good flocks wherever there are berries to sustain them and the barrier beaches with their abundance of bayberries are perfect. 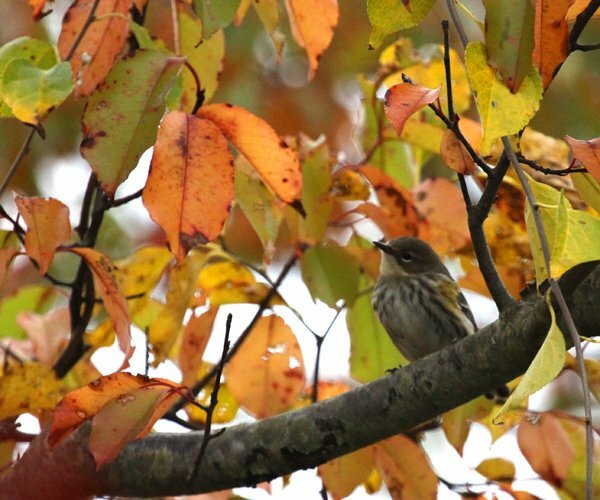 What’s really nice about Butterbutts in autumn is taking advantage of the changing foliage as background for the wood-warblers. That is what I did on a couple of recent visits to coastal New York City before Hurricane Sandy made such visits impossible. 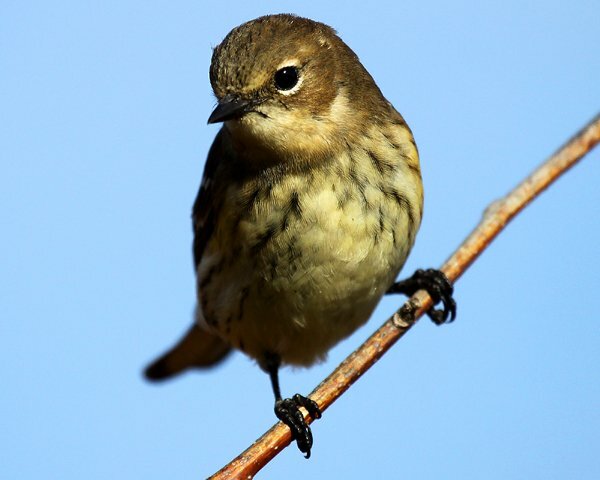 Here’s hoping the Yellow-rumped Warblers don’t get too devastated by the storm and that plenty survive to return to northern breeding areas next year! The Yellow-rumped is the only Warbler I’ve seen recently as well…It’s always great to see them! @Sam Brunson: That it is, that it is.